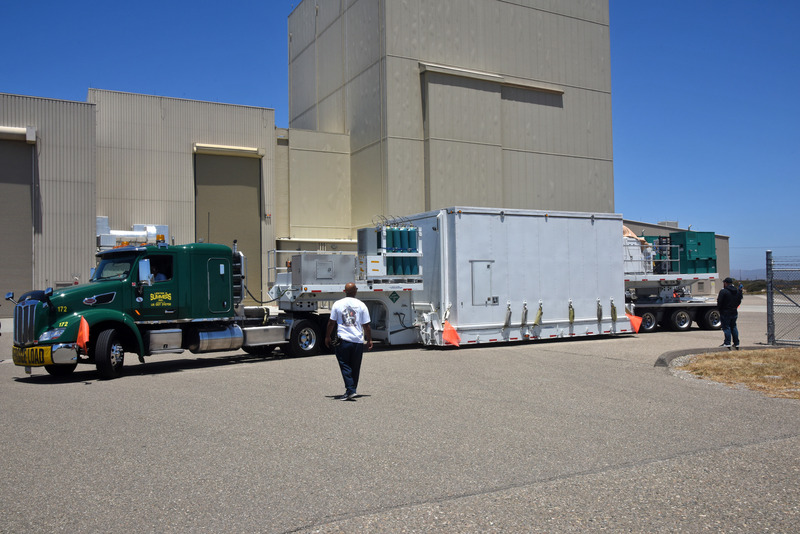 NASA’s Ice, Cloud and land Elevation Satellite-2, or ICESat-2, arrived at Vandenberg Air Force Base in California on Tuesday, June 12, from the Northrop Grumman facility in Gilbert, Arizona. The satellite will be offloaded in its shipping container from the heavy transport truck and moved into the Astrotech Space Operations facility where it will be processed and prepared for its mission. ICESat-2 is scheduled to launch Sept. 12, 2018, on the final United Launch Alliance Delta II rocket, from Space Launch Complex-2 at Vandenberg. Once in orbit, the satellite is designed to measure the height of a changing Earth, one laser pulse at a time, 10,000 laser pulses a second. ICESat-2 will help scientists investigate why, and how much, Earth’s frozen and icy areas, called the cryosphere, are changing. NASA’s Goddard Space Flight Center manages development of the ICESat-2 mission, including mission systems engineering and mission operations on behalf of the agency’s Earth Science Division. The ICESat-2 spacecraft was built and tested by Northrop Grumman in Gilbert, Arizona. The satellite will carry a single instrument called the Advanced Topographic Laser Altimeter System, or ATLAS, built and tested at NASA’s Goddard Space Flight Center in Greenbelt, Maryland. United Launch Alliance of Centennial, Colorado, is providing the Delta II launch service. NASA’s Launch Services Program, based at Kennedy Space Center in Florida, is responsible for launch service acquisition, integration, analysis, and launch management. For more information about ICESat-2, visit http://go.nasa.gov/2LL7VNU. Read a feature story about ICESat-2 at http://go.nasa.gov/2t1z6fy.